A really good undulating walk from West End in Essendon. Some great open views. Quite a bit of up and down. Short stretch of quiet country lane. Start and finish at The Candlestick restaurant/pub. If you are planning on having refreshments at The Candlestick before or after the walk, you can park in the pub/restaurant car park; if not there are usually spaces on the road opposite. With The Candlestick behind you, head west along the lane opposite the pub. Continue past the cottages on your right until you come to a footpath sign to the right, just before a rear entrance to Hatfield House. This is Essendon footpath 11. Follow this footpath down the hill until you reach to Hill End Lodge. Continue along the lane heading north, past the turn off for Hillend Farm, and on past a footpath on your right and down to the point where the road turns left. 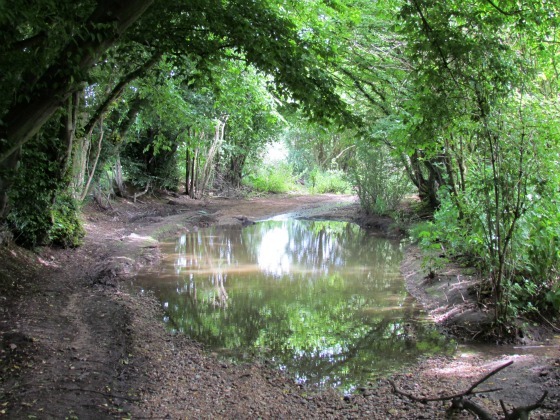 Turn right here and follow the bridleway (Essendon bridleway 6) as it heads east with the river Lea on your left. 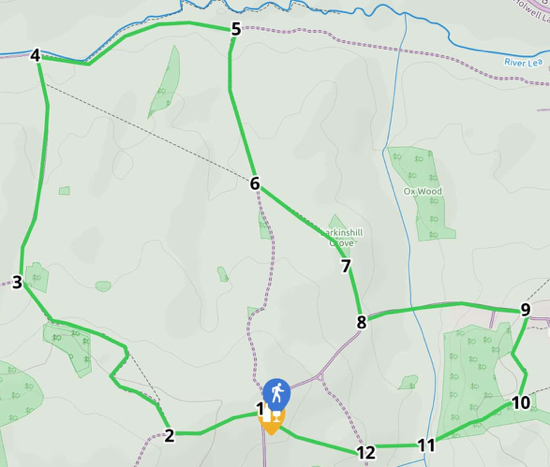 Continue until you meet a bridleway on your right (Essendon bridleway 10). Turn right here and continue heading south along the bridleway, past a farm lane on your right, and continue looking out for a footpath on your right soon after the farm lane (Essendon footpath 8). Turn right here and head south-east towards the trees in the distance - Larkinshill Grove. Continue with the woodland on your left. At the end of the woodland you head south across an open field until you reach West End Lane. Turn left, and climb the hill until you reach the outskirts of Essendon village. 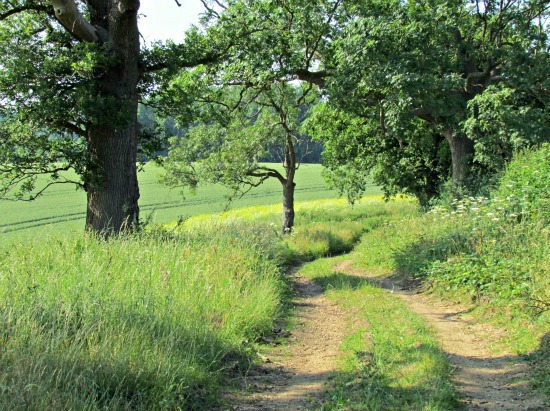 Look out for a path on the right (Essendon footpath 17) that skirts the west boundary of the church and then crosses a field emerging in Backhouse Wood. Turn right and follow the path (Essendon footpath 13) through the wood, down the hill, and across a footbridge. Climb up the path heading west until you meet a byway open to all traffic (BOAT). This is Essendon BOAT 14. Turn left, and almost immediately take the first footpath on the right (a continuation of Essendon footpath 13), climbing with the fields on your left and the hedge on your right as you make your way back to The Candlestick.